What is Asp.net MVC4 Hosting ? Asp.net MVC 4.0 is aframework for developing highly testable and maintainable Web applications by leveraging MVC (Model View Controller) pattern. Developed by Microsoft, Asp.net MVC 4.0 is based on Asp.net, and hence developers have advantages of existing features of Asp.net, such as – authentication, authorization, localization and profile settings. Asp.net MVC 4.0 can be installed side-by-side with Asp.net MVC 3, and you have leverage to upgrade from existing MVC project directly by copying over all the code, views, controllers and contents files. In this new version “Create new Asp.net MVC 4 project” template has been updated to develop more modern-looking mobile compatible website. The new template employs a technique called adaptive rendering, which makes websites look good in both desktop and mobile browsers without any customization. Since number of mobile website users is growing with considerable rate, Asp.net MVC 4.0 is very important for developers as it offers them the best solution. Asp.net MVC 4.0 is 100% backwards compatible with the current version of MVC, and will offer a smooth migration experience when it’s released. With the addition of new feature, Asp.net MVC 4.0 ensures more compact code, an improved wider range of services and capabilities, more appealing and effective UI. The new feature of MVC 4.0 also entails some attributes, such as – easy to navigate, powerful set of administrative tools, a more elegant and easy-to-maintain application architecture etc. Why Asp.net MVC 4.0 Hosting @ Dialwebhosting ? Dialwebhosting is one of the fastest growing web hosting organizations. The Company has several prestigious industry awards with its name for its services in the sector. We are currently serving tens of thousands customers worldwide, and more joining each day. We own world class data centers located at different geographical locations for optimum performance. Each data center is maintained by highly skilled managers and network engineers round-the-clock.Our data centers are installed with HVAC temperature control systems, and for safety - we have installed CCTV for 24X7 video surveillance, Biometric thumb print scanners at entry gate and security breach alarms. To ensure you get the fastest speed possible, we have partnered with top quality bandwidth providers. We also ensure the average bandwidth of 30%, thus achieving 70% of headroom to continually maintain quality of service and performance. Dialwebhosting understands how downtime can be nasty for your business. Having Tier III data center and experienced professionals in place, we guarantee our every customer with 99.9% uptime, the best in the class. Asp .net MVC 4.0 Hosting with Dialwebhosting as your hosting solution provider is the best combination for your website. So why wait? Call us@ our Toll-free no. 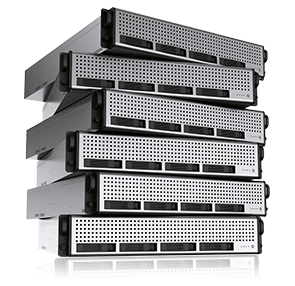 1888-288-3570 to get the best hosting solutions at affordable prices!